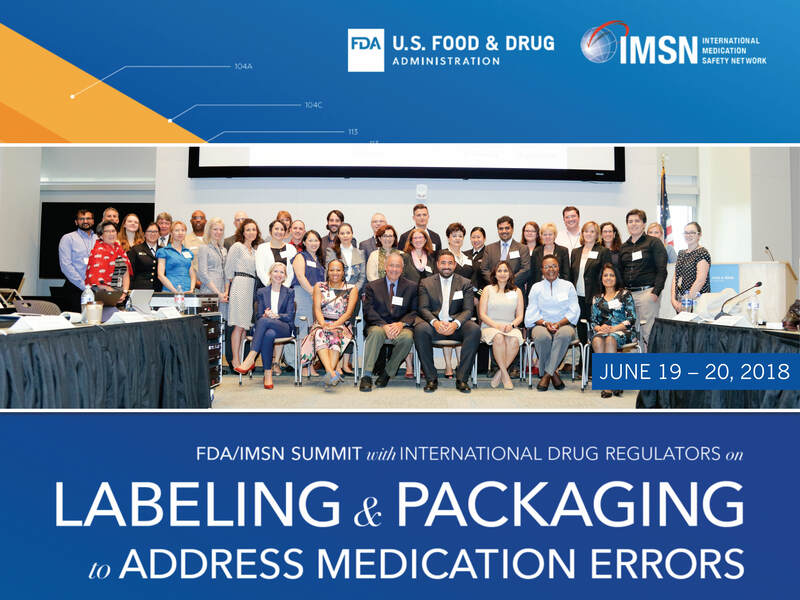 A global summit for regulators on drug container labelling and packaging safety took place on June 19 and 20, 2018, at the US Food and Drug Administration (FDA) White Oak (Silver Spring) campus in MD. The event was co-sponsored by FDA and the International Medication Safety Network (IMSN). The meeting brought together regulators, FDA staff, IMSN members, and invited speakers. The World Health Organization (WHO) was one of the attendees at the meeting, which aligned with the WHO’s current Global Patient Safety Challenge: Medication Without Harm. To reduce overall harm related to medication errors, harmonization at the global level is necessary. Many product containers exhibit labelling and packaging issues that contribute to errors in various countries. Also, domestic drug manufacturing does not exist in many countries, so drugs are commonly imported, often with features that can result in safety issues. Some international regulators have undertaken successful packaging and labelling changes that have reduced the risk of errors. The meeting provided an opportunity to share these experiences. One of the goals of the meeting was to create a minimum set of best practices for labelling and packaging aimed at reducing medication errors. Another goal was to promote the use of technologies to reduce medication errors, which led to discussions regarding the need for an international barcode standard. Representatives from GS1, a global standards organization for barcodes, were among the invited speakers. A discussion was also held on the processing and sharing of medication error information by global pharmacovigilance (PV) centers. A recommendation was made for the PV centers to seek input from healthcare practitioners and medication/patient safety organizations such as those already established in many of the IMSN member countries. Finally, participants agreed to create a white paper to promulgate these best practices. Further meetings and discussions are planned, including a follow-up meeting this fall in Cascais, Portugal, during which industry participation will be sought.